As far as walls go, this one on Bowery and Houston Street is probably my favorite. 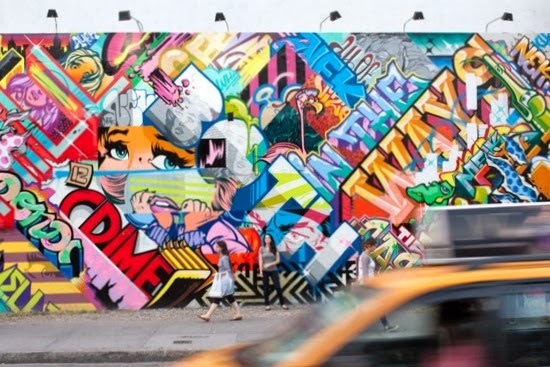 The commissioned graffiti changes periodically -- here's a brief history -- but the current mural created by REVOK and POSE is particularly awesome. Every time I pass by it, I have to stop and stare. Is it with spray paint?